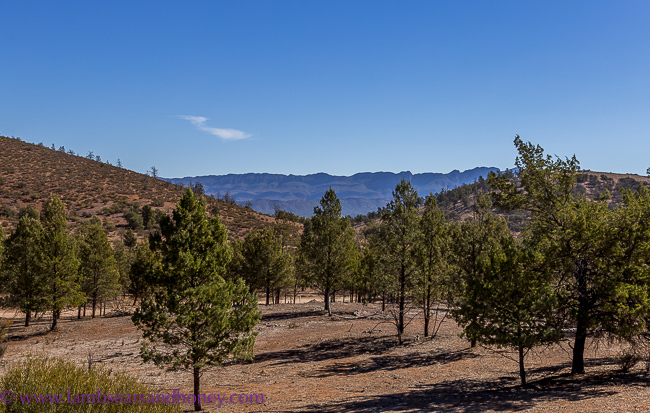 Experiencing the natural beauty of the Australian outback doesn’t have to involve ‘roughing it’, as Amanda McInerney discovered on an excursion to sheep station turned tourism gem Rawnsley Park Station in the Flinders Ranges. Farm life is bloody hard, and when your livelihood is in the stunningly beautiful, but unforgiving, Flinders Ranges in outback South Australia you need all kinds of smarts to make it work. But all kinds of smarts is exactly what Tony and Julie Smith of Rawnsley Park Station have – and they’ve used this knack for thinking outside the box, and for hard work, to turn their historic sheep station into an award-winning tourism gem in the middle of the outback. 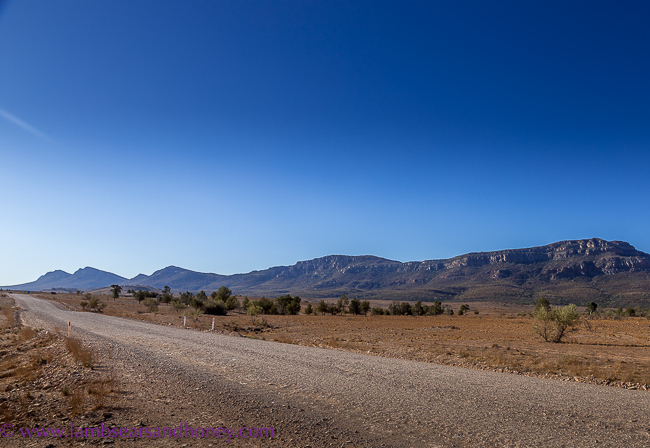 Despite the fact that much of my own family history is centred around the mid-north of South Australia, I hadn’t quite made it to the Flinders Ranges until a few months back. I’m well past the point in my life where camping and roughing it in the outback have any appeal to me, and was excited to visit Rawnsley Park as it celebrated its 50th anniversary as a tourist destination. For a princess like me, it was a wonderful chance to enjoy the natural splendour of the area in stylish comfort. This region is the traditional home of the Adnyamathanha people, who play a significant role in the management of the land (they also own and run the nearby Wilpena Pound Resort), and Rawnsley Park Station was originally part of the sprawling Arkaba Station which was settled in 1851. The station is spread out over 12,404ha and is still an operating sheep property, but, in an effort to value-add to their property, early owners Clem and Alison Smith began offering tourism options to those visiting the Flinders Ranges. Beginning modestly in 1968 with simple accommodation, Clem also provided guests with a first-hand view of work on the station followed by morning tea made and served by Alison. Now run by son and daughter-in-law Tony and Julie Smith, it offers visitors today the same warm welcome, along with a much-expanded tourism offering. 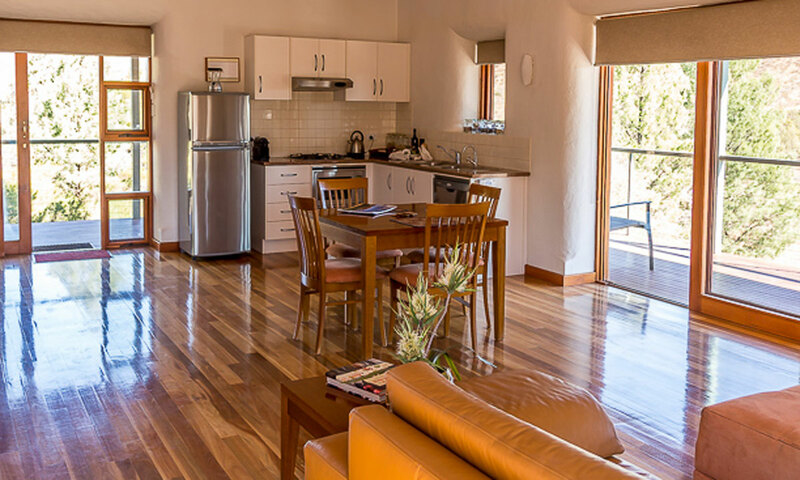 The accommodation at Rawnsley Park now includes a caravan park – with cabins, powered sites, full amenities, a pool and licensed store – and self-contained, air-conditioned one to three-bedroomed 3.5-star holiday units with outdoor decks, fully equipped kitchens and satellite television. The over-the-bed skylight is perfect for midnight star gazing. Visitors after a little luxury (yes, that’s me) can choose from either the Rawnsley Homestead, a beautifully appointed building with a private pool and stunning views of the Chace Ranges, or the energy-neutral eco-villas. These one and two-bedroomed villas offer spacious living areas, wide verandahs and fantastic over-the-bed skylights, perfect for midnight star-gazing. Once you are settled into your preferred accommodation option it’s time to explore this timeless land and, if you prefer not to do that by yourself, once again the Smith family have stepped up with adventures to suit everyone. They offer daybreak (with breakfast included) and day-long walks, or three and five-day walking tours. Led by experienced guides with an intimate knowledge of the land and the local flora and fauna, these tours return you to your comfy bed at the end of each day. This is the kind of walking I enjoy most – in fact, we have plans to head back there soon for a walk or two. The view from one of the eco-villas. Wheeled options include mountain bike trails or a large selection of four-wheel-drive tours. For the ultimate experience, guests can choose helicopter tours, the Heli-Swag experience which includes a night in the Pound, scenic flights over the Pound or extended flights to Lake Eyre or Arkaroola. And, if the idea of cooking a meal at the end of the day doesn’t appeal, you can dine in style at the fully licensed Woolshed Restaurant, which offers a la carte dining – including, of course, the station’s own delicious lamb. Rawnsley Park Station is a wonderful way to experience the unique South Australian outback – this is totally the Flinders Ranges at its best. South Australian writer Amanda McInerney writes about travel and food on her Lambs’ Ears & Honey blog, where this article was originally published. She was a guest of Rawnsley Park Station for her visit.